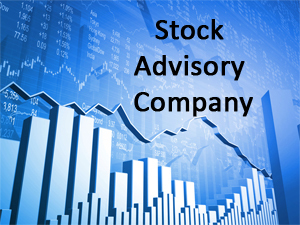 How to find out best stock advisory company India? It is a common question asked by many traders and investors. One of the most difficult task today is to identify the genuine stock advisory company in India. There are many fake companies registered online. Starting a Facebook group and a WhatsApp group is their modus operandi to cheat the people. This happens mainly due to ignorance and greed for earning more money. Well, before giving tips on identification of Best Stock Advisory Company let’s look at some clues to identify a fake stock advisory company. How to identify fake Stock Advisory Company? No register website only promotion via Facebook and WhatsApp group. A stock advisory company offering a commitment of huge profits like “Earn Daily Rs.10000 from 1 Lakh Capital”. Operator based tips like Next day profit sharing. A promise like Sureshot or 100% accurate results. If a company is unable to answer – What kind of research they do before providing call? Selecting Stock Advisory Company is a crucial decision. Here are 10 Tips that will help you in selecting a best stock advisory company. The first thing to check for the advisory firm is registration on SEBI or not. Only SEBI Registered Advisory Company is authorized to provide stock tips and advisory services. SEBI registered advisory companies are generally trustworthy and likely to give a better result. Second thing is the accuracy of services. You need to ask what guarantee they provide on call. If they say 90-100% accuracy that clearly indicates that they are fraud. As no one can guarantee such high accuracy. Third thing is flexibility. Many firms do not provide flexibility to the clients. They prefer the client to be online all the time. You must check that they are offering tips via SMS, online, phone based or email based. Another important thing is reference check. You must check a performance of the company from friends, clients or from other authentic sources. Don’t go for the stock advisory company due to low payment fees. In most of the case, a price is directly related to the quality of services. The next thing you need to check is customer services offered by the company. You can either get a reference from someone or try by yourself by calling customer service number of the company. Additional thing to check is payment condition. Check if it is commission based services or fixed fee services. Both this terms have its own pros and cons. If you are beginner you must check this point before opting for stock advisory services. Make sure to select a stock advisory company that allocates advisor that is easily accessible all the time. Waiting for someone to advise you at the time of trading does not make any sense. Experience of the company matters. You must select the company which is in the business since several years. You should go through a review of the company on the internet. You can find this information easily via Google. I hope above tips will help you in selecting a best stock advisory company. The tips given above are based on my personal experience. If I have missed anything please let me know via comment section. I will try to include it.